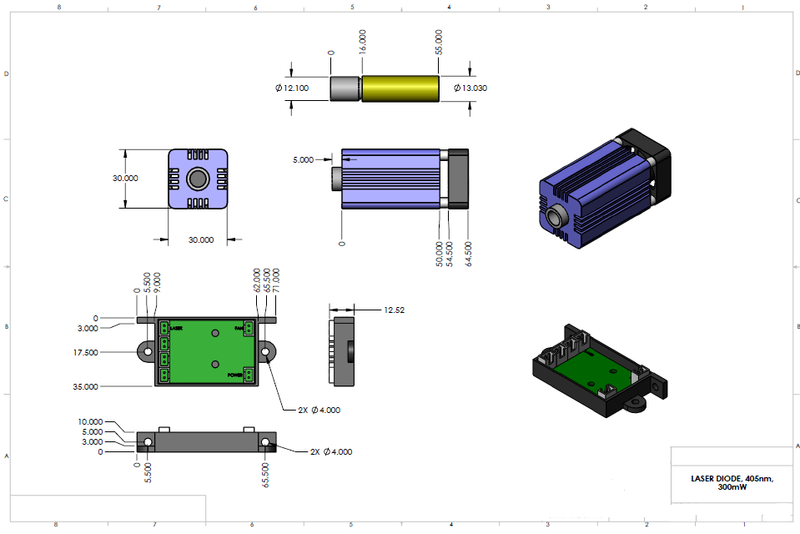 Details: 150-300mW 405nm blue-violet laser module / TTL modulated. The laser can work continuously, with air cooled. Reverse polarity protection,with automatic identification of positive and negative. It can be switched on / off rapidly / often without damaging. Many of the customers are use it for 3D printers. The wire between the laser and the power supply is about 10cm long, and it is extendebale. 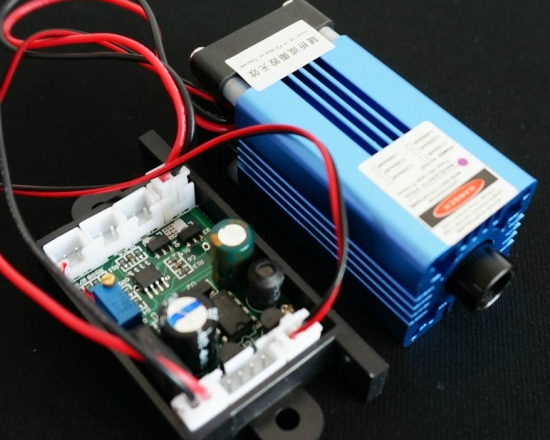 Note: The power and the laser head is split, the laser head is equipped with fan cooling.